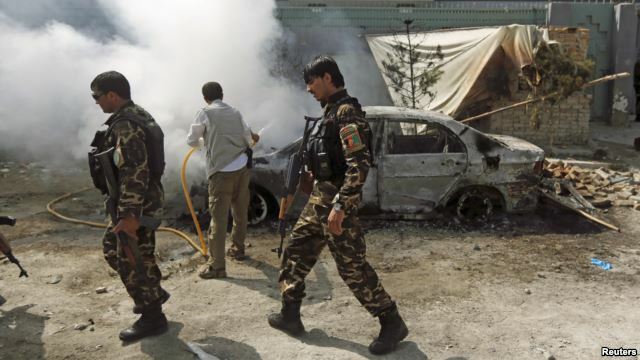 Authorities in northeastern Afghanistan confirmed Sunday the Taliban has captured a key military base in overnight clashes after more than 100 Afghan security forces surrendered to the insurgents. Fighting in the Tirgaran area of Badakhshan province erupted Friday night when scores of rebels staged coordinated attacks on several security outposts, the provincial police chief told reporters. He said border police force personnel at the base surrendered to the Taliban because they were besieged and did not get reinforcement from the government. In a statement, the Taliban has claimed its fighters have taken control of several security installations in the area and captured 110 national security forces. Some officials are reported as saying that the commanders “made a deal” with the Taliban and the surrender included handing over all the weapons and equipment a the base to the Taliban. Badakhshan borders China and Tajikistan and has been the scene of major clashes between Taliban and Afghan security forces in recent weeks. While the Taliban has so far in this fighting season failed to maintain control over territories it has captured, the militants have inflicted heavy battlefield casualties on Afghan security forces. The New York Times reported Wednesday a more than 50 percent rise in the casualty rate among Afghan security forces this year compared with the first six months of 2014. It quoted officials with the US-led military coalition as saying that about 4,100 Afghan soldiers and police officers have been killed and around 8,000 wounded. Meanwhile, Afghan government and Taliban representatives are preparing to meet in neighboring Pakistan on Friday for a second round of peace negotiations to explore ways to end hostilities.